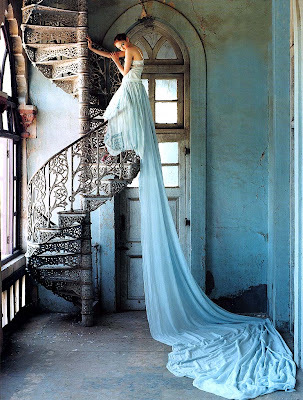 Here are a few photographs from British fashion photographer, Tim Walker. His chimerical images have been featured in Vogue - month by month - for over a decade. If you are interested in his work, the National Portrait Gallery and the Victoria and Albert Museum in London feature his work in their permanent collections.